Doctors: Do You Run a Digital OPD on WhatsApp & Hike? In this technology era, where everything is digital, how can clinics and OPDs afford to lag behind. Instant messengers such as WhatsApp, Hike and Telegram have already swayed people and organizations across the globe. Healthcare industry too is not left far behind. Many clinics, hospitals and doctors in Singapore, South Africa, Brazil, Malaysia, Dubai, Netherlands and India have already started offering free and paid OPD services on WhatsApp, Hike and other instant chat messengers. What is a Digital OPD on WhatsApp and Hike? A general OPD (outpatient department) means a hospital department where patients receive diagnoses and/or treatment but do not stay overnight. Digital OPD, on the other hand, means where patients receive diagnoses and or treatment over phone or internet using WhatsApp, Skype or Emails or SMS. Doctors can not only communicate with patients, but also with other senior doctors for getting an opinion. For example, a Doctor in Dubai can get an opinion from a senior doctor in Singapore on WhatsApp or Hike instantly about a patient’s heart report. “Digital OPD is highly useful for chronic diseases such as diabetes, hypertension and heart disease, points out Dr Devi Shetty, senior cardiac surgeon and chairman, Narayana Health.” as stated in this news published in the Times of India. Why doctors are relying on Bag A Chat app for Digital OPD on WhatsApp or Hike? Bag A Chat app enables functioning of digital OPD smooth and manageable on WhatsApp and Hike. 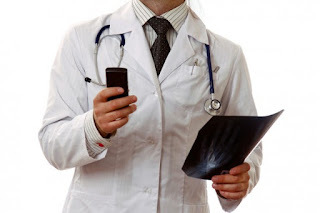 Here are some of the best features helping doctors consult better on WhatsApp and Hike. 1. Selectively save patient messages, reports messages and medical images in the app, on your cloud Google Drive or DropBox, so you will never lose the information, in case it gets deleted by WhatsApp or by mistake. Once information is saved on the cloud, you can even view it from any device including the laptop. 2. Quick search patient’s months/year old chat messages by just entering his name, date range, text or label. 3. You can add labels to messages! So if you want to keep messages from multiple patients with one type of ailment together, or keep a particular type of medical discussion in doctors groups separately - simply add labels. Group messages logically to refer quickly. 4. Set appointment reminders to patients chat messages for sending the opinion or a follow-up. 5. Select and share these chat messages to senior doctors for quick help. 6. All the media files of patients e.g. MRI scan, x-ray image etc. are stored privately. It is not mixed with the gallery folder, ensuring those don’t get deleted by mistake. Not only these, but doctors can also integrate a customized Bag A Chat app with their internal HIS (Hospital Information systems)or applications for tracking patient records and consulting records. If you are a doctor and looking for a customized Bag A Chat app solution, write to us at info@bagachat.com and we shall get back to you quickly.